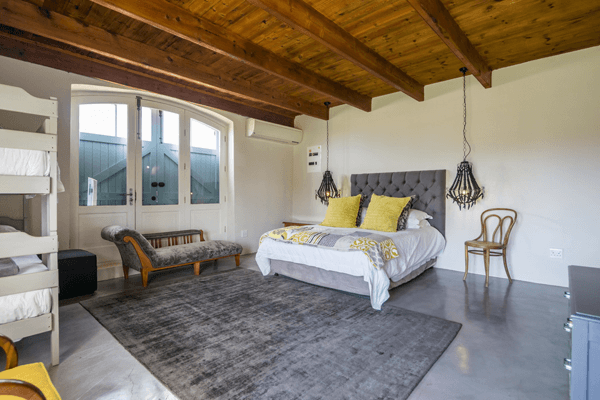 Langvlei Farmhouse - Luxurious farm accommodation to experience the peace and tranquillity of farm life, just 7 km outside the beautiful town of Riebeek West in the heart of the Swartland area. 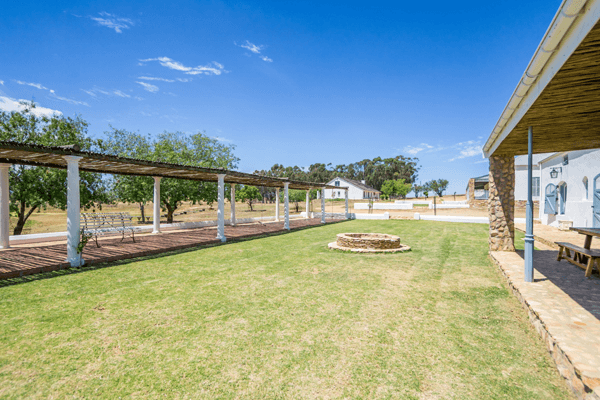 Langvlei Farm is privately owned by the Goosen family and is a working farm specialising in wheat and merino sheep farming. 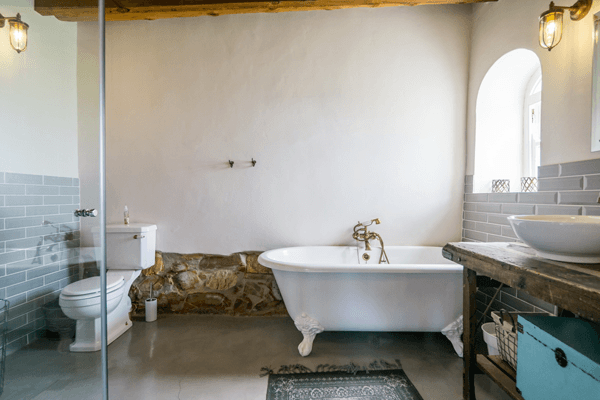 The farmhouse, previously stables, was renovated into a luxury self-catering farm cottage overlooking the beautiful wheat and grazing fields of the Swartland farm. 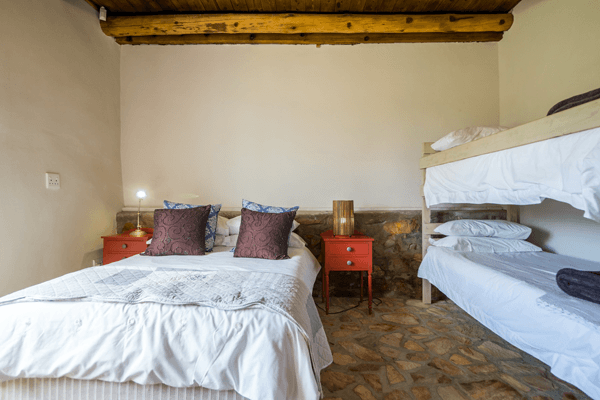 The cottage has accommodation for eight (four adults and four children) with two bedrooms, the main with a queen size bed and bunk beds, with a full en suite bathroom. The second room includes a double bed and bunk beds with an en suite bathroom with shower. 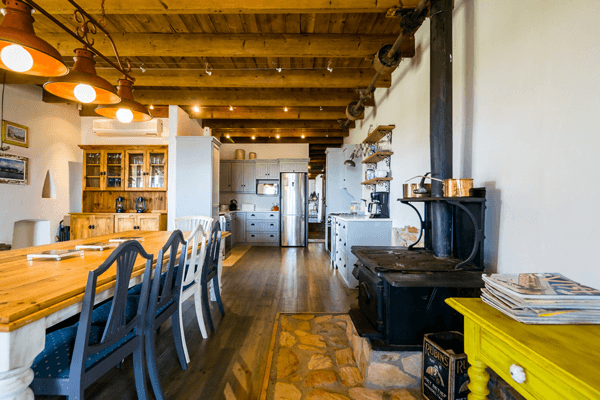 The farmhouse is self-catering, and provides for all needs and comforts. For the coffee lovers there are also a filter coffee machine and a plunger available. Only bring along your hiking boots to enjoy the lovely farm life atmosphere, and leave the city air behind. During lambing season, there are often lambs to help feed in the enclosures nearby, and your kids will love playing with all the farm animals. There are a few chickens running around, and they can even fetch freshly laid eggs for breakfast. The dam in front of the farmhouse is perfect for swimming on hot days, and there are lovely tracks for bicycle rides. 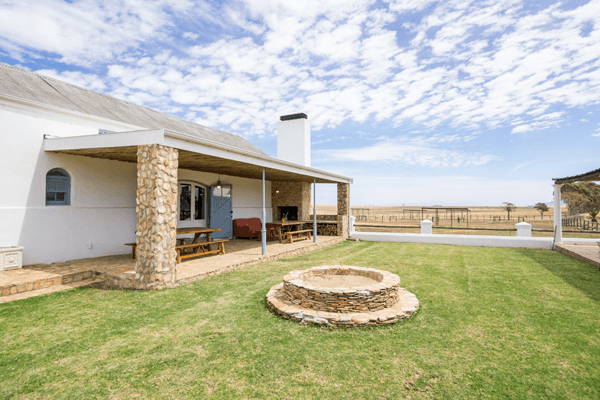 There is a covered outdoor braai area and stoep, but the boma in front allows for lots of entertainment in the form of marshmallow and stokbrood roasting. The kids can also enjoy the fun of a treehouse built on the farm yard. For the bird lovers, there are quite a few species in the area, and the South African national bird, the blue crane, often makes their appearance on the farm. There is an airplane hangar on the farm with a landing strip for small airplanes, for those travellers from afar. 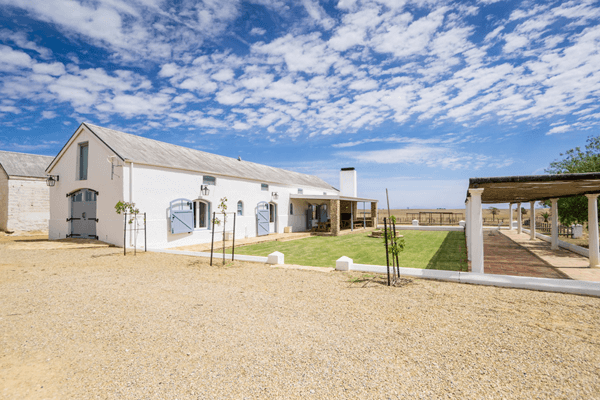 The farm is only a 10 minute drive from Riebeek-West and Riebeek-Kasteel. 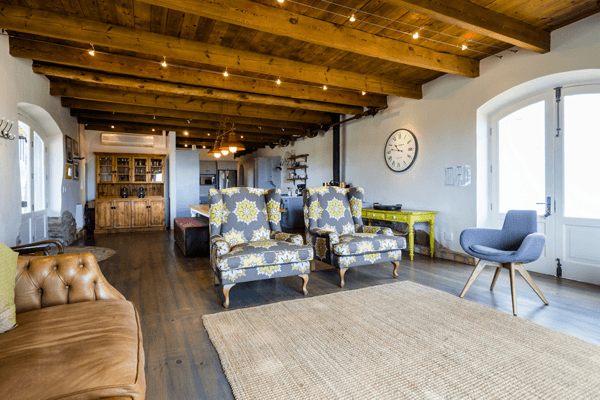 Riebeek-Kasteel is known for its amazing restaurants, the famous Royal Hotel (the oldest hotel in South Africa) and the wine and olive farms in the surrounding area with lovely olive and wine tastings. You will find several craft beer brewers in the area, and gin distilleries are also a new trend. There are a few art galleries in the area, and some famous artists that call Riebeek-Kasteel their home. 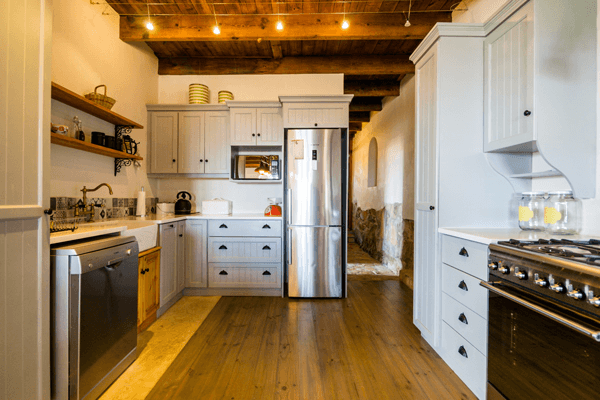 Come experience farm style living. Harvest time especially is a lovely time of year.